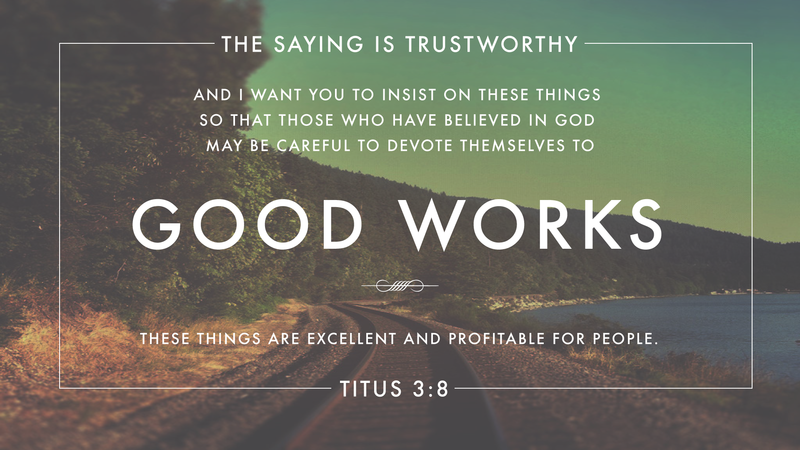 God did not save us through the good works of our own righteousness. Nevertheless, He did save us so we might be people devoted to good works. Zealously motivated by our Father’s love, mercy and generous grace, we seek to reflect the light of His glory through our pious deeds. A life committed to such acts is a convincing testimony of the transformational power of God. So today, live out the purpose of your salvation by being, “full of good works and acts of charity” (Acts 9:36).